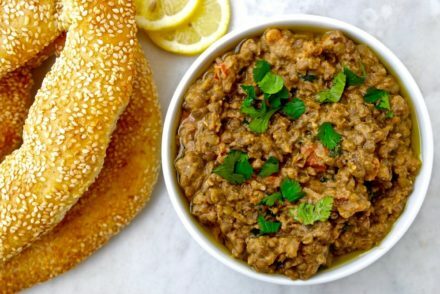 I’ve finally made this amazing caper dip with the capers I bought from Tinos island and I’m sharing it today. 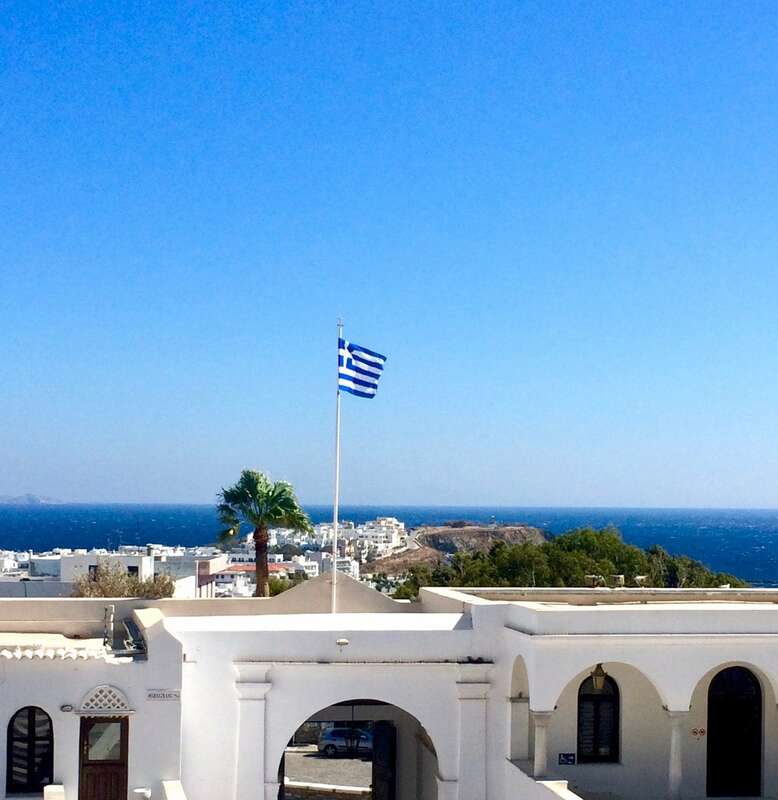 Over the summer we visited Tinos and in Greece it is mostly known as a religious destination-Greeks go to the island to visit Our Lady of Tinos, a shrine of pilgrimage-. In the church there is an icon that is believed to be a source of miracles. However, Tinos has a number of beautiful villages, beaches and an important gastronomic culture. 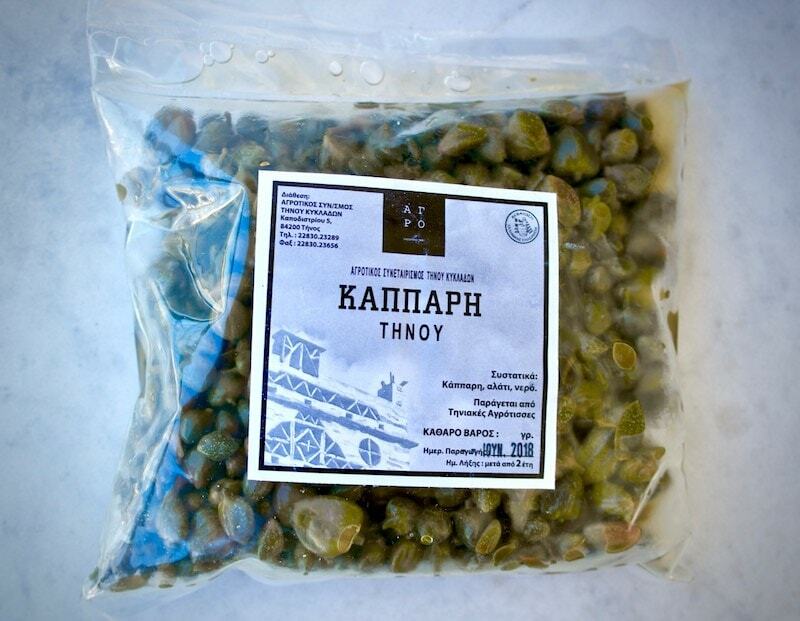 One of the products Tinos is known for is the capers. I love capers, so when I got off the boat, I went to the farmers market right on the port and bought a big jar, it only lasted for our stay we ended up buying some more from the islands farmers Co-Op store. If you love capers (and beautiful beaches and villages) than this is the island for you! They make their appearance everywhere: in salads, on meats, even as appetizers. They even have a festival dedicated to capers, which were lucky to attend and eat dishes made by the locals with capers. Just a few capers add a burst of flavor to almost anything. 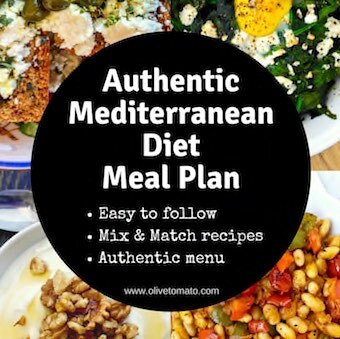 Some of my favorite places to add them is of course on salads, on rusks or bread- I’ll mash some feta, drizzle a bit of olive oil and sprinkle some capers, on pasta, and we sometimes eat them plain as an appetizer. But apart from their culinary versatility – they are rich in certain antioxidants and other protective substances. Capers contain the flavonoids kaempferol and quercetin and hydrocinnamic acids (a substance found in plants) with anti-inflammatory and antioxidant effects. And they have very few calories. It is important to note that as they are pickled, they do have a bit of salt. You can rinse them prior to using them and also avoid adding any additional salt when using them in recipes. 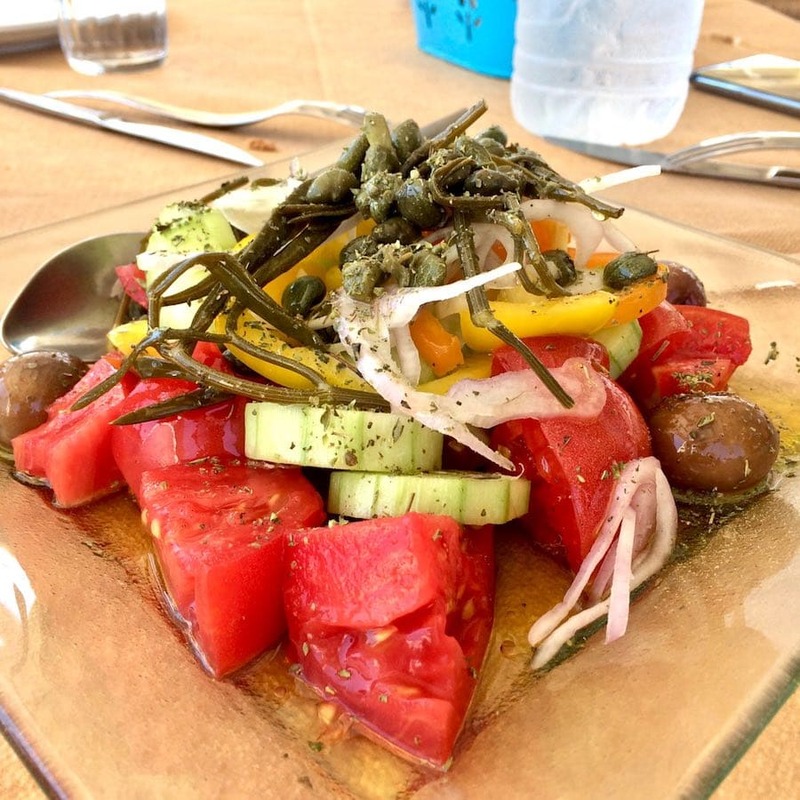 In Tinos there is a very popular caper dip known as Kaparosalata it is made with bread and potato, but while we were eating at a tavern on the island we were offered a different caper salad; this was made with Greek yogurt. This dip looks like tzatziki but it does not contain garlic, making it much lighter. We ordered it often along with a large Greek salad for lunch, it was soooo good. I recreated it here, and it is very easy to make. 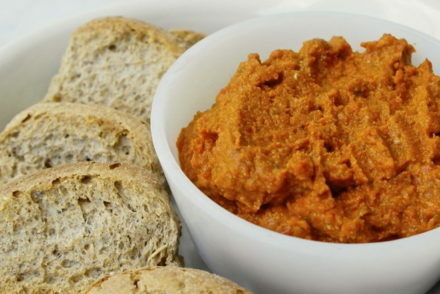 You can serve as is with rusks, breadsticks, bread or crackers but it also works as a sauce for chicken or salmon. In a bowl mix the yogurt, capers, pepper, walnuts and lemon juice. Add the olive oil and blend. Add the dill and mix. Cover and let it sit for at least an hour. When ready to serve the dip, sprinkle with some capers and drizzle a bit of extra virgin olive oil. Do not add any salt as the capers already have salt in them. “Instructions”: What happend with the Greek <yogurt? How much olive oil? and when do you mix in the yogurt? Yes, they are quite larger! You are welcome! I love Tinos and can’t wait to try this dip. 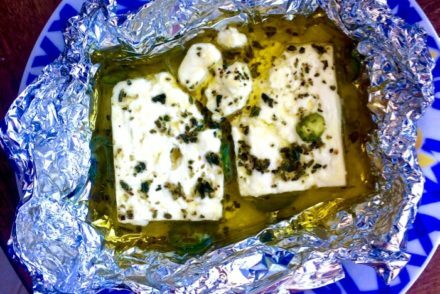 I first had capers with Greek salad on Andros island which also has a lovely soft cheese which I had in place of feta there. Thanks for sharing Kathryn. Yes the islanders have wonderful cheeses. I just love your recipes. During the Orthodox fasts, I cook mainly from the recipes here and also Middle-Eastern cookbooks. Your Cretan pizza gets rave reviews and Ive passed your website onto the choir gals from our monastery. Thank you for this new recipe . Sounds delicious!!! Ive also given up veganism during non-fasting days so I can eat some delicious and healthy Greek yogurt, feta , eggs and fish. Im feeling great. Thank you for your expertise and love of all thats Greek. Thank you for sharing! I appreciate your kind words! 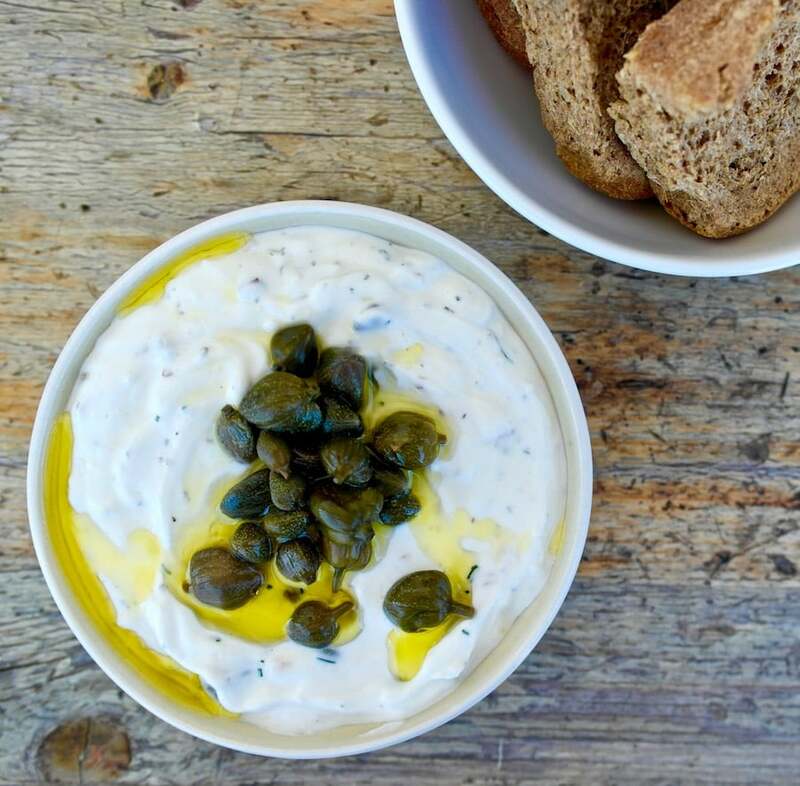 This yogurt dip is an excellent part of any meze or appetizer spread! The flavors blend perfectly together, especially since lemon and caper are natural complements. This looks so yummy! Do you chop the capers that you mix in, or just stir them in whole? Thanks! I just stir them in whole. I was just looking for a good veggie dip, thanks for sharing! But I have to ask, what is the salad with the beans and capers, shown above the dip recipe? That looks wonderful! 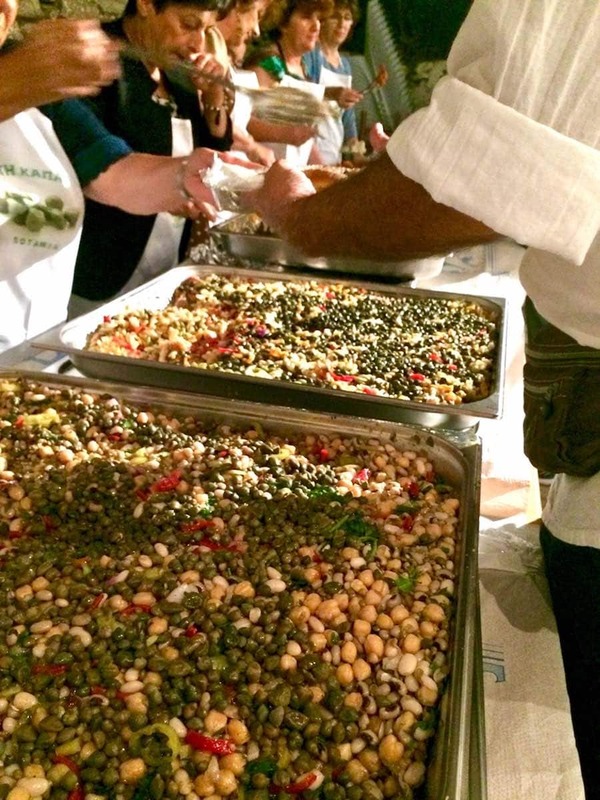 That dish was served at the festival, it was some sort of dish of roasted beans along with capers, it was more of a warm dish.